Do you wish to start vaping? Le Petit Vapoteur proposes a choice of All in One Electronic Cigarettes amongst our selelction. 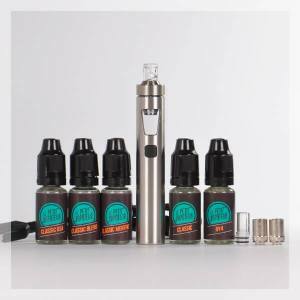 Your pack is composed of an Electronic Cigarette and liquid, consumables (such as the coils for example) and a number of e liquids which allows you to discover classic flavours. You will have all the essentials to immediately start vaping. Your Electronic Cigarette Pack will be commonly used and is appreciated by beginners in vape. 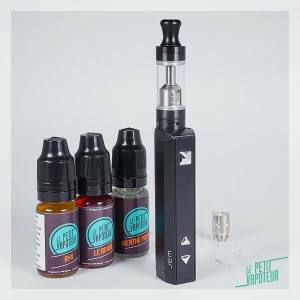 If you are looking for a simple solution to start vaping or recommend a close one to choose the Electronic Cigarette with Liquid? You can choose in this category an Electronic Cigarette Pack. Your All in One Electronic Cigarette is at the heart of products proposed as a whole (an Electronic Cigarette, consumables, accessories and e liquids). Gracious to purchasing an Electronic Cigarette you can start vaping with a peace of mind having made the right choice. Do not look any further, you have found it here. The Le Petit Vapoteur Electronic Cigarette Packs are designed to allow beginners to understand the principals of the Electronic Cigarette and to familiarise the utilisation. 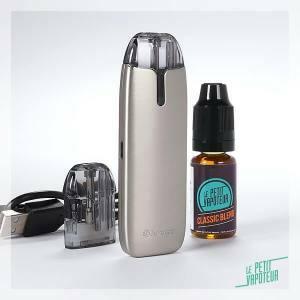 You can also choose the Electronic Cigarette Pack with a varied choice of 5 E Liquids, from the Classic range by Le Petit Vapoteur, so you can discover the different possible flavours. An Electronic Cigarette Pack which allows you to find one or more which corresponds to your taste, but especially to guarantee easy transition and to completely stop smoking. With the Le Petit Vapoteur, launching into smoking cessation is quite easy. Quickly discover all our packs which are ready to vape and choose a pack which corresponds your needs. If you need help in finding the ideal Electronic Cigarette Kit, contact us! Our advisers wil be more than happy to guide you towards your Electronic Cigarette Pack and its composition. 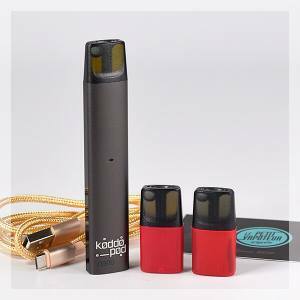 You will see, the Electronic Cigarette with E liquid purchased on our website will give you complete satisfaction.